Bake 4 minutes. Top each with 1 tablespoon bruschetta and 1 teaspoon cheese. Bake 5 to 7 minutes or until golden brown. Serve immediately, or cool completely and refrigerate in airtight container until ready to eat. 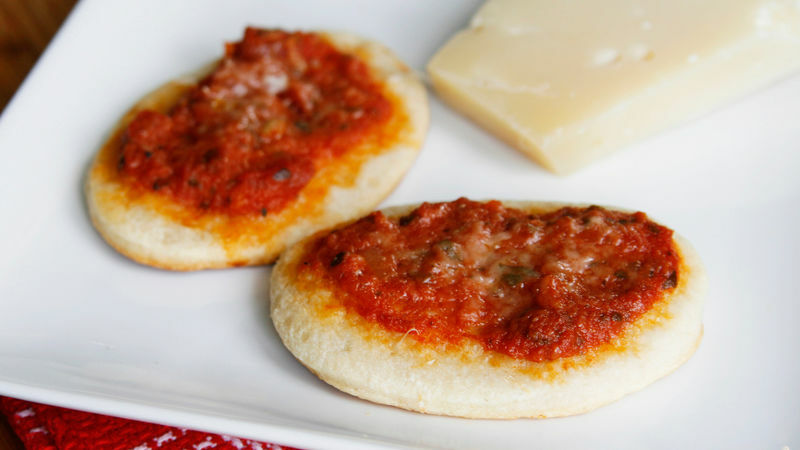 These mini pizzas are perfect for lunch boxes. Stick one in a sandwich container to pack for the kids. Once baked, these can be eaten hot or cold.